Some simple precautions can help you and your family avoid the flu in Georgia this year. Because the flu is contagious, people can pass the flu bug around before they even show symptoms of the flu. That means that you may be able to pass on the flu to someone else before you know you are sick, as well as while you are sick. Some people can be infected with the flu virus but have no symptoms. During this time, those persons may still spread the virus to others. Sounds simple doesn’t it? We typically wash before eating. But do you wash after visiting a play park with other children are present? How about after daycare or school? Or after church? This simple step alone goes a long way to keeping you healthy during flu season. If you are sick, be sure to sneeze or cough into your sleeve or a tissue. Don’t cough or sneeze over people or toys. And if it does happen, be sure to disinfect surfaces. Don’t risk re-infecting your family or others. Stomach virus (which can involve vomiting, diarrhea or both) continue to shed for 10 days in the stool. If you have a stomach bug at your house, be vigilant in wiping down all surfaces including toilet handles. Sanitize toothbrushes after an illness. Parents who get the illness should avoid preparing food; it’s another way that the illness can be passed on. 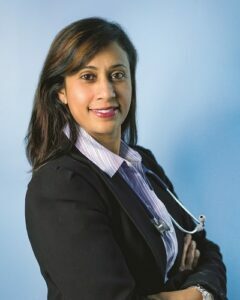 If you’re not sure whether your child has the cold or flu, please schedule an appointment today with Dr. Meenakshi Hari of Sun Pediatrics. Dr. Hari is eager to take your call and answer your questions. Don’t wait any longer. Have more questions about the health and well-being of your children? Ask Dr. Hari of Sun Pediatrics. Dr. Hari is highly recommended by parents of Marietta, Smyrna and Cobb County. Sun is your local pediatrician in Marietta GA.